Experience up close the cookery skills of luminaries such as Richard Corrigan, Rachel Allen, Neven Maguire, Gearóid Lynch, Simon Delaney, TV chef Adrian Martin, Pastry maestro Shane Smith, ‘My Donegal Table’ author, chef and hotelier Brian McDermott, Bord Bia’s Máire Dufficy, and many more in the Ulster Bank Chef’s Kitchen. 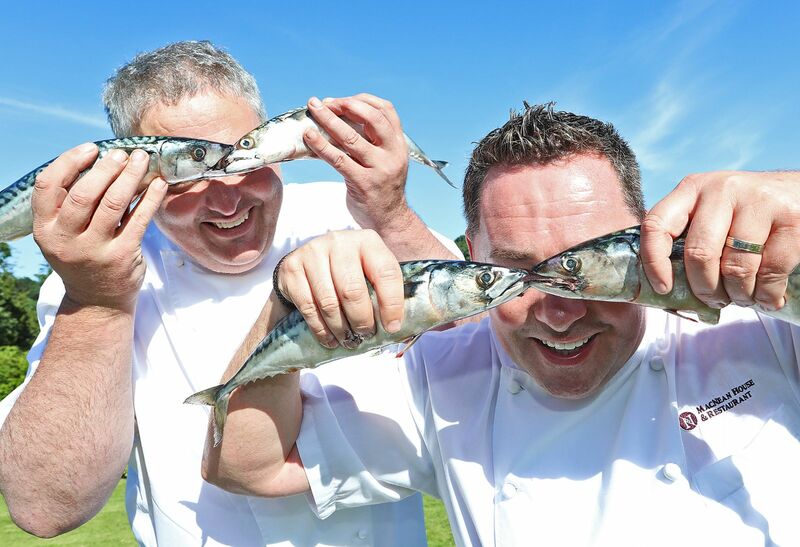 All chefs will use specially selected local produce – available at the show - during their demos, providing a real Taste of Cavan. 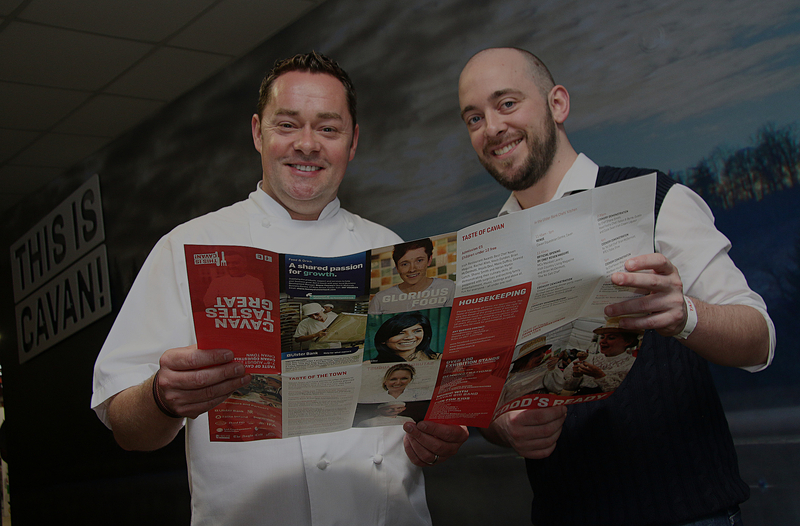 Over 120 exhibitors will be displaying their wares at this year’s event, including the SuperValu Food Academy, showcasing the best in small artisan food products. This year’s event offers more opportunities than ever before for visitors to join in the fun with a variety of hands-on workshops with the country’s top chefs. Following the huge success of last year’s event, ‘Cook Along With Neven’, sponsored by Dunnes Stores’ Simply Better will be expanded with a new parent and child ‘Cook Along’, under the guidance of Ireland’s favourite chef. Additionally Chef Adrian Martin, author of ‘Fakeaway - Fast Food Made Healthy’ will deliver special ‘Cooking for College’ classes for students, while the two-day food extravaganza will also see coffee master classes with J&B Hope and JJ Darboven, Sports Nutrition Discussions with Jeeny Maltese and Tom Coleman. Wines Direct will once again pair up with top Cavan restaurants The Oak Room and People’s to provide wine and food matching classes for those that live in terror of terroir! For the little ones, the Taste of Cavan Fun Zone will have lots to keep them occupied including Margaret’s ‘Fun on the Farm’, Agri-Ware Animal Farm, Cavan County Museum exhibition, fossil fun with the Geopark, giant slides, and much, much more. The icing on the cake for our junior visitors will be a cake-topping class with Cavan’s very own ‘Cake Boss’, Shane Smith of Airfield Estate. The adults’ playground that is the craft beer, cider and gin corner will feature an expanded line up of exciting local beverages sure to set tongues wagging. Taking the event beyond the traditional two-day format, this year’s Taste of Cavan also features a ‘Taste of Cavan Food Trail’, running on Saturday and Sunday throughout Cavan Town, where participating restaurants will offer patrons the opportunity to sample a delicious taster dish at a reduced price. Further programme details will be announced as the summer progresses. For more information, email info@tasteofcavan.ie. Taste of Cavan is presented by Cavan County Council in partnership with Local Enterprise Office, Cavan and Fáilte Ireland.